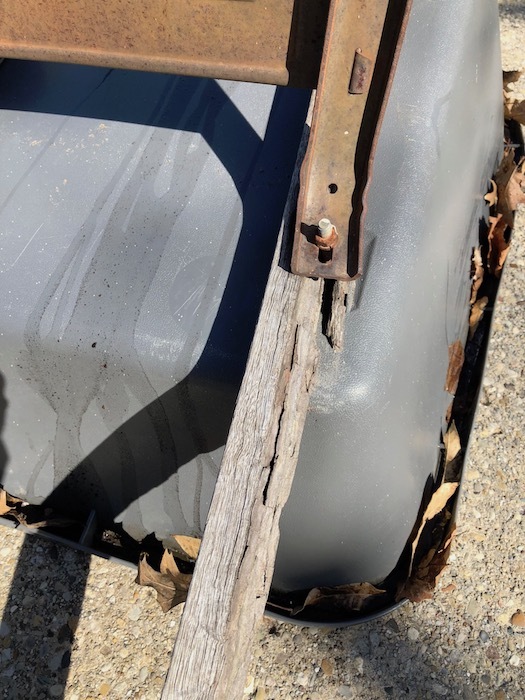 Last year or maybe it was the year before that I snagged an old wheelbarrow that my neighbor was throwing out. The bucket was in fine shape, but the handles had seen better days. 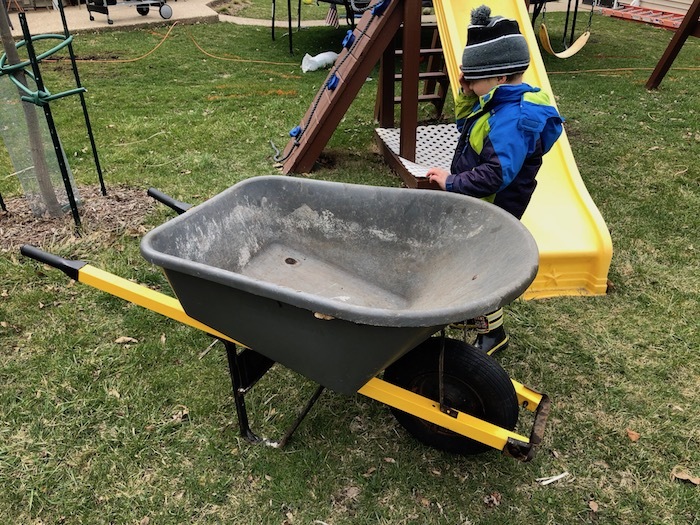 A new wheelbarrow costs around $50. I bought some steel replacement handles for $14. I could have gone cheaper with some $8 wood handles, but I figured that the steel handles would outlast everything else. 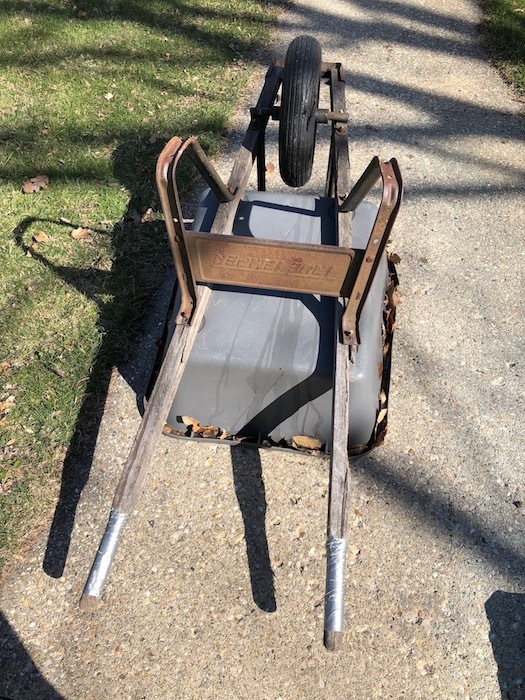 Our garage is tight on space, so this cheapo wheelbarrow lives outside all year long in our garden.